Posted on April 13, 2019 by dressings. 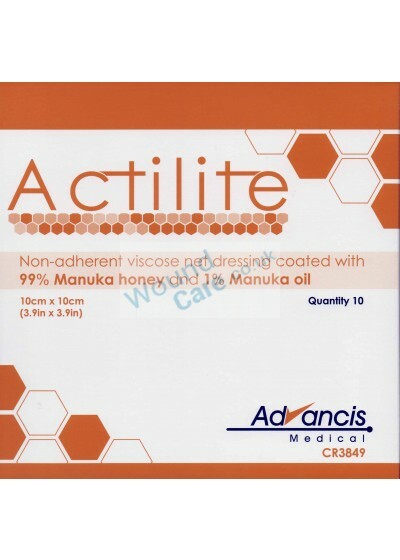 Actilite is an antibacterial dressing which contains 99% Manuka honey and 1% Manuka oil. Manuka oil helps in enhancing the anti-microbial effect. It provides an ideal moist environment for healing of the wounds. It is available in 3 sizes- 5cm x 5cm, 10cm x 10cm and 10cm x 20cm . Although the honey is not absorbed into the blood stream, blood sugar monitoring is advisable in diabetic patients. This is all the required information about Actilite. If in case, it does not quench the thirst for knowledge, then you should try visiting the official website-Wound-Care.co.uk. Posted on April 9, 2019 by dressings. What Is Activon Tulle Dressing? Activon Tulle Dressing is a kind of primary dressing which is all made up of Manuka honey with no preservatives. It enables a moist-environment which helps in healing the wound quickly. This knitted viscose mesh is impregnated with pure Manuka honey. Can be easily placed on the wound, whatever the size may be. Where to Use Activon Tulle Dressing? All about the Activon Tulle Dressing has been mentioned, if you need to dive into the ocean of information, then visit the official website Wound-Care.co.uk. Posted on April 4, 2019 by dressings. 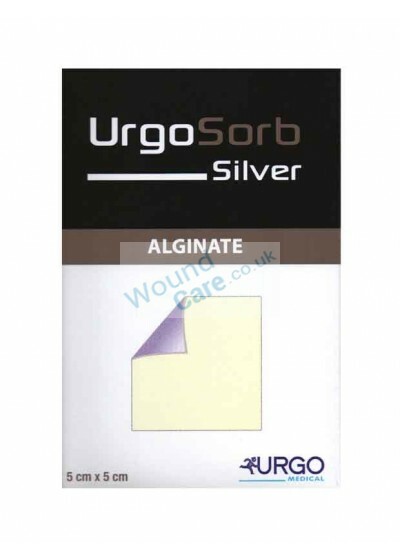 Urgosorb Silver Dressing is the absorbent dressing with a broad spectrum which has the power of antibacterial action which would decrease the bacteria count. It helps in the treatment of the infected wounds and is most effective with the wounds having a risk of local infection. What is Urgosorb Silver Dressing? Posted on April 2, 2019 by dressings. Posted on March 26, 2019 by dressings. 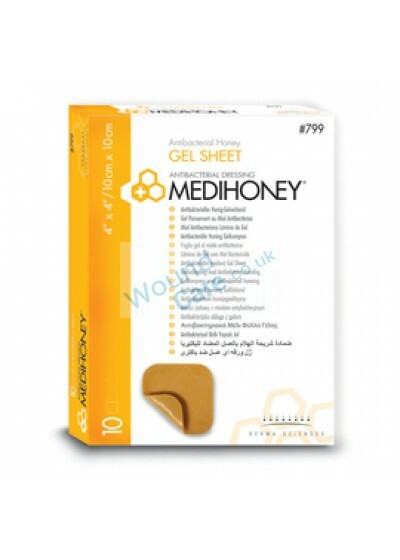 Where to use MediHoney Gel? Where not to use MediHoney Gel? Wound Care is a leading online retailer of wound dressings and bandages. Visit the official website- wound-care.co.uk. for more information. Posted on March 22, 2019 by dressings. A retention tape helps in the holding of the wound dressings to stop the infection from spreading. It provides a wide-area fixation for a large post-operative wound dressings, absorbent compresses and gauze. Not only it restricts the contamination of the bacteria, but also provides a greater freedom to the patients while moving their wounded part. 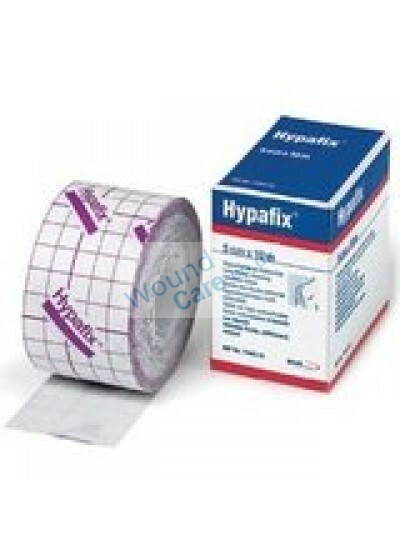 Hypafix tape is a non-woven fabric layer and adhesive which fixes the dressings in its place. It sticks around the wounded part firmly. It provides an air and moisture vapour environment which reduces the risk of maceration. It is ideal for all types of the skin. Where to use Hypafix tape? Where not to use Hypafix? You'll get a wide range of wound care dressings, bandages, and retention tapes at Wound Care. Get to know more at the online portal-wound-care.co.uk. Posted on March 4, 2019 by dressings. A non-adherent dressing gauze like Atrauman tulle Dressing is ideally used for speedy recovery of wounds. Minor wounds like infected burns, wounds, ulcers, and skin grafts needs to be managed and require a protective layer of a non-medicated fiber-like dressing.A non-adherent dressing gauze like Atrauman tulle Dressing is ideally used for speedy recovery of wounds. Minor wounds like infected burns, wounds, ulcers, and skin grafts needs to be managed and require a protective layer of a non-medicated fiber-like dressing. This tulle dressing is a non-medicated gauze impregnated with neutral triglycerides. It supports lipid metabolism and promotes quick healing with its 1mm pore size and smooth surface. The gauze moistens the supple wound and provides a soft, smooth and comfortable wound treatment. This 7-day effective gauze decreases irritation risk and cuts its contact with the healthier skin without leaving any sticky residue because of its paraffin content. 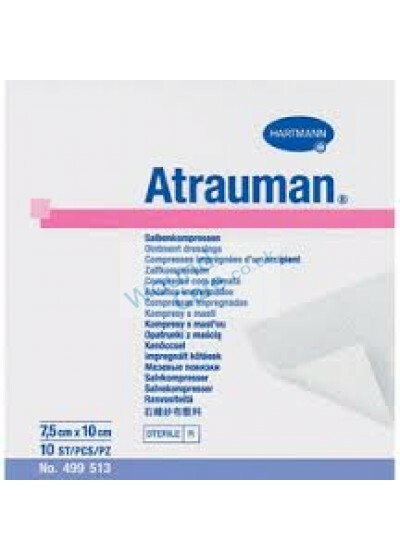 Where to use Atrauman Dressings? Where not to use Atrauman Dressings? The application of Autrauman Dressing gauze must be strictly avoided on a high exudate wound. This type of dressing must be avoided for an unclean or non-sterile wound. 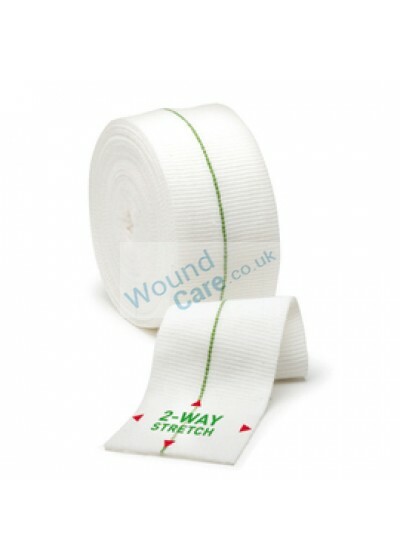 Check out Wound Care.co.uk for various kind of gauzes and bandages for healing any type of wound quickly and securely. Posted on February 26, 2019 by dressings. An absorbent dressing like Mepilex border is required to heal moderate and heavily exuding wounds and preventing bacterial infection. They have an ability to absorb excess discharge of wound and create an ideal healing environment that is highly important to promote the healing process.An absorbent dressing like Mepilex border is required to heal moderate and heavily exuding wounds and preventing bacterial infection. They have an ability to absorb excess discharge of wound and create an ideal healing environment that is highly important to promote the healing process. What is Mepilex Border Dressing? Mepilex border is an all-in-one multi-layered foam dressing that maintains a moist healing environment for moderate to highly exuding wounds by absorbing the excess exudate. Safetec layer locks the wound discharge inside the dressing and prevents it from leaking. It also ensures that the dressing comes out easily without causing any skin damage. Once this dressing is applied, there is no requirement of a secondary dressing. It is perfect for treating pressure ulcers, skin tears, and dry wounds. Where to use Mepilex Border Dressings? Where not to use Mepilex Border Dressings? 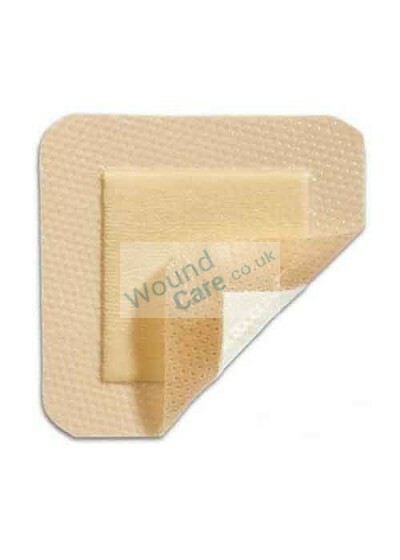 Check out Wound-Care.co.uk for several types of wound bandages and dressings to treat any wound quickly. Posted on February 22, 2019 by dressings. Every wound should not be treated in a same way. The dressing that you opt for should be able to create an optimal healing condition for the wound. Therefore, you should select the right dressing for any wound. There are some factors that impact the selection of the wound dressing. Dressings are classified on the degree of occlusion and absorbency. The absorptive dressings are recommended for the exuding wounds. So, the dressing should absorb the extra wound exudate and promote healing otherwise there is a risk of maceration of the surrounding skin. You should pick either foam or hydrofibre dressings for exuding wounds. Wound Care offers you KerraMax Care and Aquacel Foam dressings that are highly effective in healing the wound with discharge. It is a super absorbent dressing that helps in reducing exudate and matrix metalloproteinases. It works best for heavily exuding wounds, surgical incisions, skin ulcers, burns, abrasions, and other similar conditions. It is suitable to be used under compression bandages. A multi-layered dressing with a soft absorbent pad will help heal chronic and acute wounds. It has a hydrofibre layer that converts into a soft gel on touching the wound discharge or exudate and facilitate the healing process. Occlusive dressing is recommended for a very dry wound as it will hydrate the wound to promote healing. A wound needs a moist healing environment to heal and this dressing helps prevent it from drying out. Hydrogel Dressing like Aquaform Hydrogel Dressing is perfect for treating dry wound. Wound Care offers you this effective dressing that helps rehydrate dry or necrotic tissues and finally assisting autolytic debridement. You can get a variety of wound dressings and bandages for different types of wounds at Wound Care. Dont forget to check out wound-care.co.uk for more details. Posted on February 18, 2019 by dressings. The tubes, stoma devices and other primary wound dressings need to be fixed in the place in order to prevent the risk of infection. For this, a wound dressing retention film is required that is non-irritating to the skin as well as stays on for a long time. Wound Care presents you Opsite Flexifix, a highly extensible and comfortable dressing fixation tape. 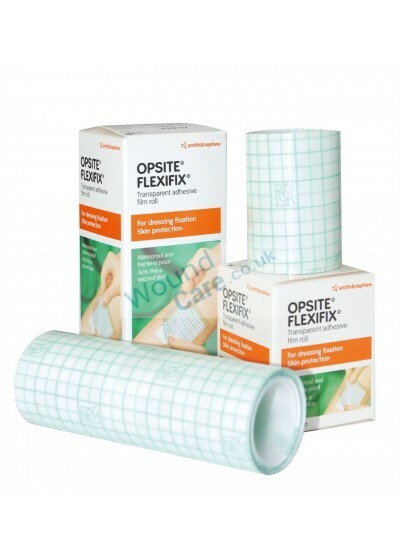 Opsite Flexifix is a transparent adhesive film that comes with a distinctive wound measurement grid. It is used for fixing primary dressing, tubes, leg bags, and stoma devices. With high moisture permeability, it lets excess exudate to evaporate, preventing skin maceration. It is conformable to your body contours for ease of movement. You can also get Opsite Flexifix Gentle that incorporates all the qualities of Opsite Flexifix and has a gentle silicone gel adhesive to suit fragile skin. Where to use Opsite Flexifix? Where no to use Opsite Flexifix? Youll get an extensive range of different wound dressings and bandages for wound treatment at Wound Care. For more information visit Wound-Care.co.uk.